Making it Happen With Batteries! Energyallover is now getting a great price on US Battery Heavy duty Deep Cycle Battery products and as always we will pass the saving on to you. 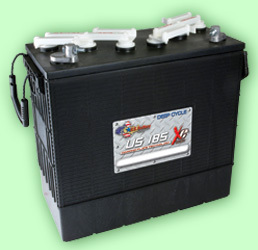 US Battery products are American Made high quality heavy duty deep cycle batteries. The life of the battery will be dictated by how you use it. For the longest life a charge controller is a must unless your battery bank capacity is much greater than the output of your solar panels. Avoiding deep discharges will also extend the battery life. Never discharge more than 50% and 80% is even better. Flooded batteries should have a scheduled check of the water level. Battery storage capacity is measured in Amp Hours(AH). In general, buy at least 200AH of battery for every KiloWatt Hour(KWH) of electricity you want to store with 300AH even better. 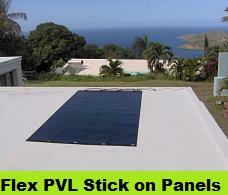 If you want Off the Grid and you are currently using 10KWH per day want at least 2000AH of battery capacity at 12 Volts. To keep them charged you need at least 2000 Watts of Solar panel output. 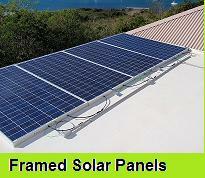 These are rough guidelines and much depends on when you use electricity and panel location. We Will be Adding to This Table as We Stock More Batteries! These are Prices for the Batteries ON ST THOMAS. Discounts for Large Quantities.